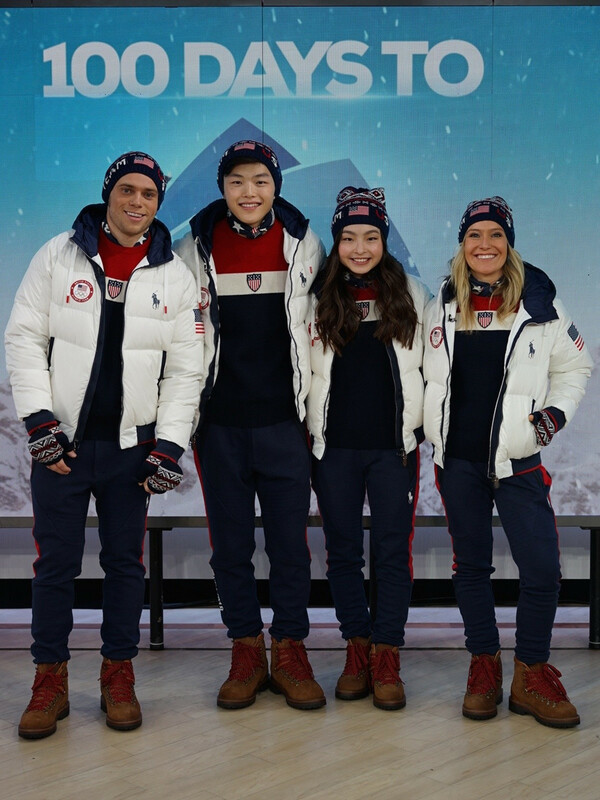 With fewer than 100 days until the Winter Olympics kick off in PyeongChang, South Korea, the United States Olympic Committee and Polo Ralph Lauren have unveiled Team USA’s uniforms for the closing ceremonies in late February 2018. As usual, the color combination is red, white, and blue. 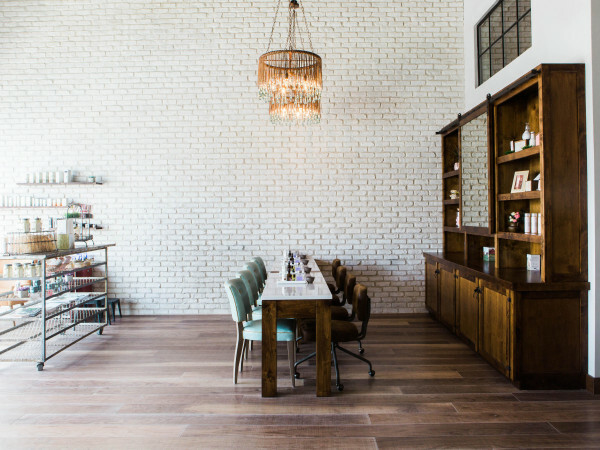 And, since the end of the Olympics is a more casual affair than the beginning, the look is laid-back, with a retro flair that would fit in on the slopes of any major winter ski area. 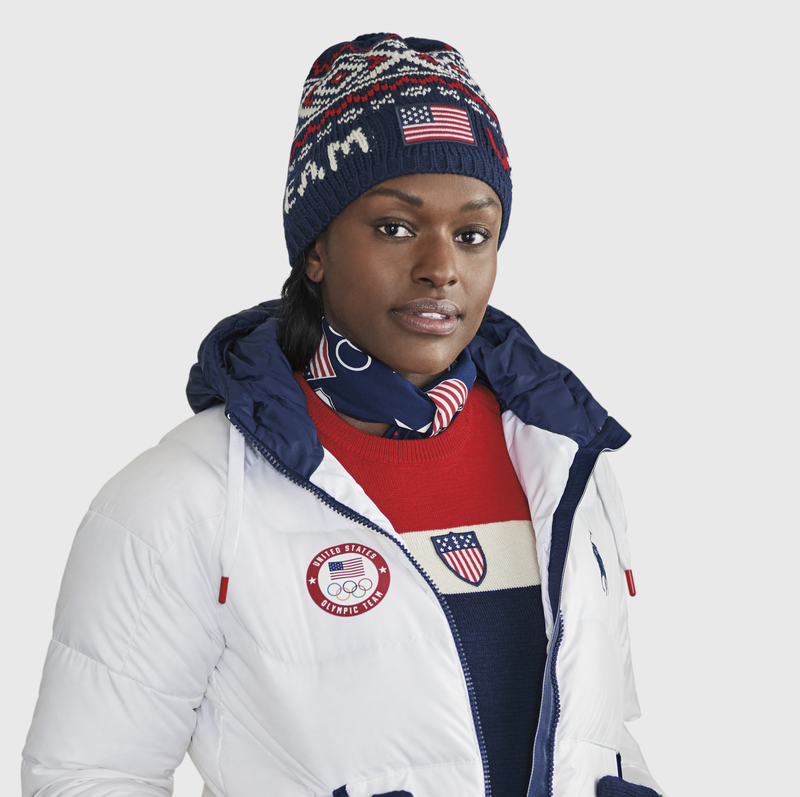 Team USA members will be wearing a white down jacket; a double fleece pant in navy with red stripe detailing and “USA/018” lettering; and a vintage ski-inspired sweater in a red, white, and blue block stripe. 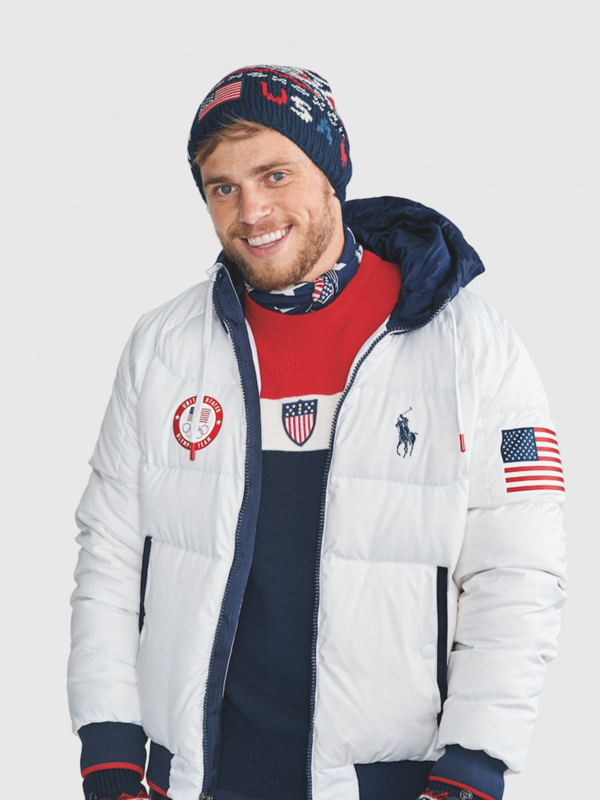 The understated uniforms, which will also be worn by athletes at the Paralympic Winter Games following the Winter Olympics, are accented with wool gloves and wool ski hats in a winter-inspired intarsia pattern, an American flag bandanna, and brown suede mountaineering boots accented with red laces. 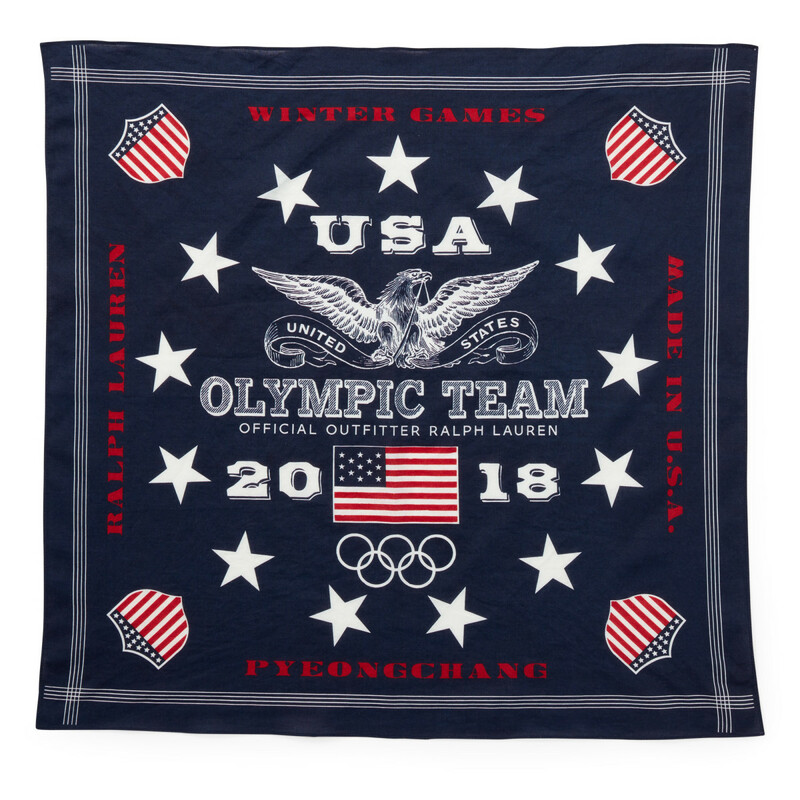 The Polo Ralph Lauren Team USA Collection will be available next month in select Ralph Lauren and Polo Ralph Lauren retail stores and on RalphLauren.com and TeamUSAShop.com. 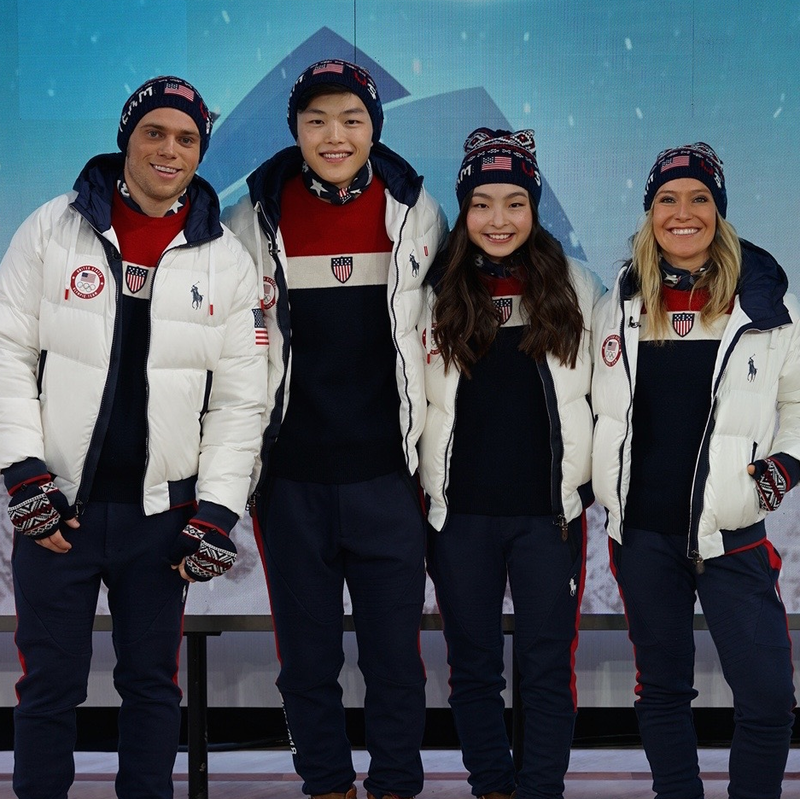 The uniforms were unveiled on NBC's Today Show with Olympic gold medalist snowboarder Jamie Anderson, Olympic silver medalist freestyle skier Gus Kenworthy, and brother-and-sister ice dancing duo Maia and Alex Shibutani as models. 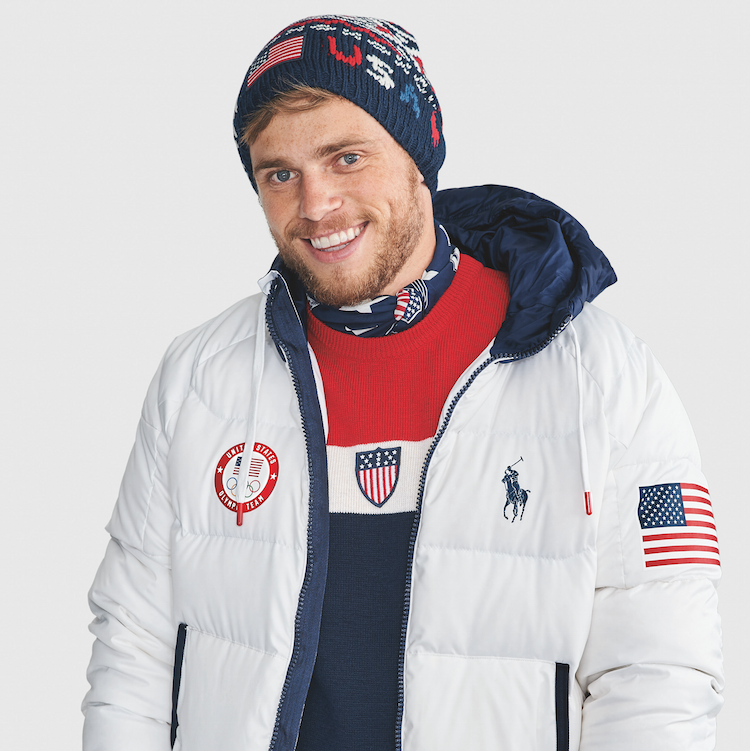 It will mark the sixth time Polo Ralph Lauren has been the official outfitter of Team USA. 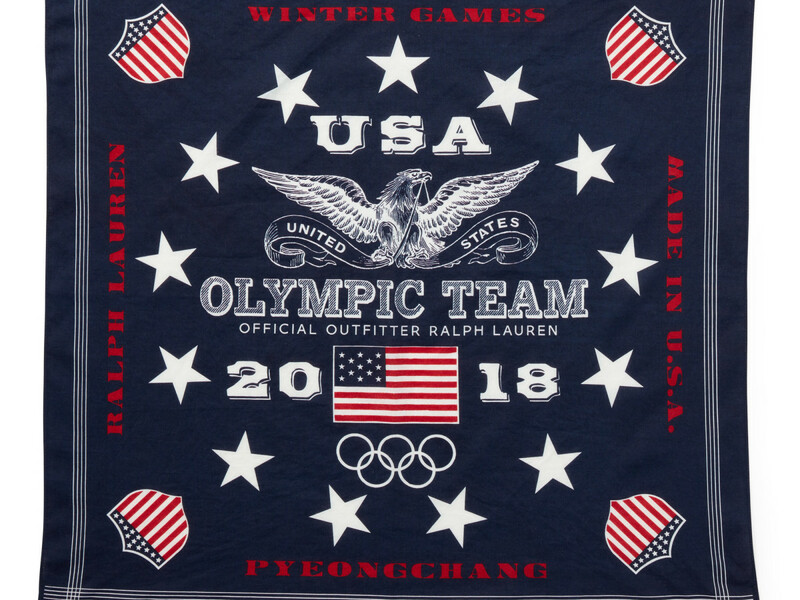 Team USA's Opening Ceremony outfits will be unveiled close to the time the PyeongChang Games open on February 9, 2018, and they are likely to be considerably more sedate than the uniforms Lauren designed in 2014. 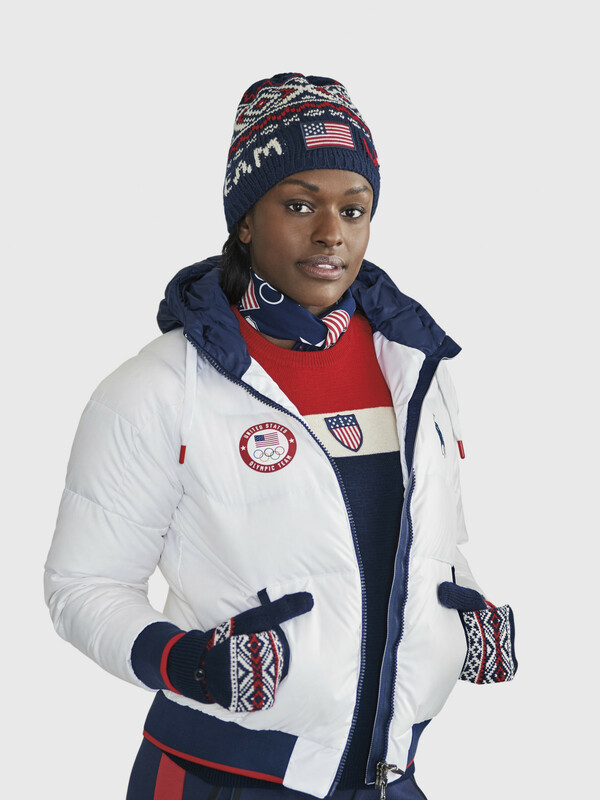 At the opening of the Sochi Olympics in 2014, Team USA wore red-white-and-blue patchwork cardigan sweaters, which I thought looked terrific, particularly when the team entered as a group. 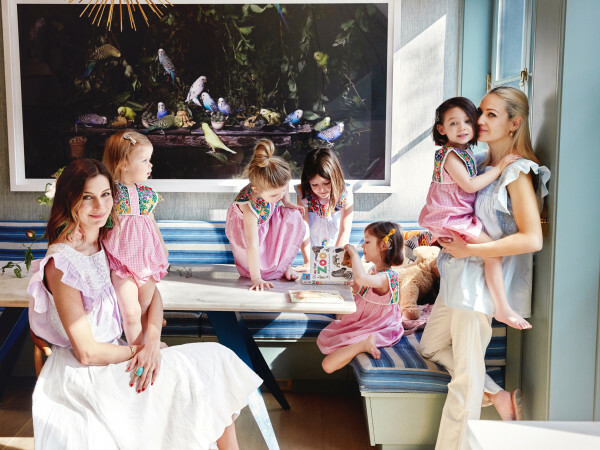 But I was in the minority, as many critics lashed out, comparing them to tacky Christmas sweaters and calling them "eye-poppingly awful."